It has been nearly a decade since the Navy’s aviation community saw a dramatic spike in physiological episodes, or PE. High in the sky, in several air frames, more and more pilots were getting dizzy in the cockpit. They were disoriented, they couldn’t breathe and they became confused, imperiling lives, multimillion dollar jets and readiness in the process. The Navy has in the past year redoubled its efforts to disentangle the complex causes behind PE, which primarily involves oxygen loss in the cockpit, but can include decompression sickness and other problems. Pilots can lose consciousness in the grimmest scenarios, but symptom severity varies. While long-term fixes remain distant, officials say progress is being made on several fronts. But that effort has come under fire from lawmakers and other federal agencies in recent months. From the House Armed Services Committee to NASA, the Navy is facing criticism that it came at the crisis in a half-cocked fashion. A unified, service-wide effort to assess and solve PE did not start in earnest until last year, when the Physiological Episodes Action Team, or PEAT, was stood up. 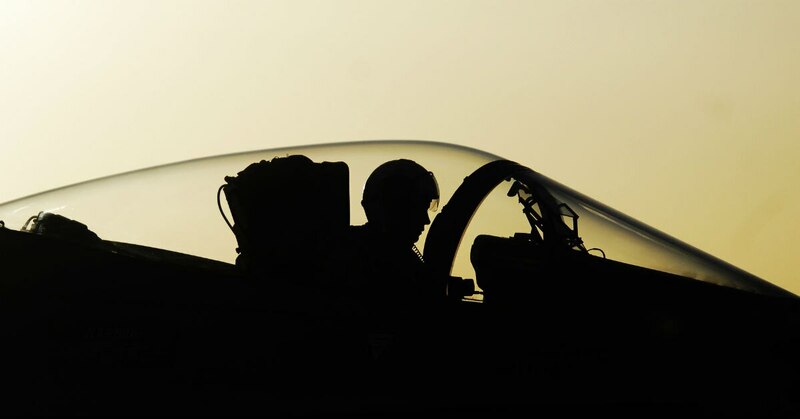 Navy pilots have reported 461 physiological episodes in F/A-18 fight jets and T-45 trainer aircraft since May of 2010 — an average of more than one every six days. Yet the recent completion of a 30-day review led by Adm. Scott Swift, commander of the Pacific Fleet, revealed few answers. 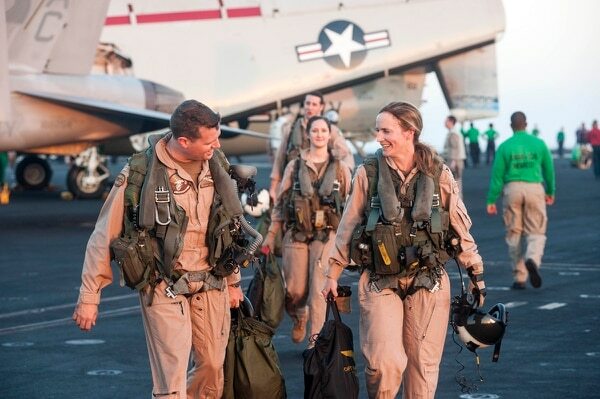 Rear Adm. Sara Joyner, a career aviator, was tapped as the PEAT’s first commander. But the Navy has announced she will leave that position this summer, after less than a year on the job, an abrupt transition that some lawmakers fear could imperil the team’s progress. While the Navy has considered the problem since 2009, a unified effort was lacking before PEAT, and Navy medicine was not brought into the fold until the team was formed. At the same time, the F/A-18, arguably the backbone of the service’s fighter world, has fundamental life support problems in the cockpit, issues that can only be fully solved by retrofitting every Hornet, Super Hornet and Growler with new parts, something that will take years. PE concerns among pilots in the T-45 community sparked a refusal to fly last spring and subsequent operational pause. These concerns are echoed in other airframes as well, leading rank-and-file pilots and jet maintainers to lose faith that leadership will listen to their concerns and solve the problem, according to NASA officials and lawmakers. Rep. Michael Turner, who chairs the House Armed Services Committee’s subcommittee for tactical air and land forces, chided the “failure of the leadership of the Navy” on PE during a hearing this month. “Navy leadership was initially slow to respond to this issue that is having a direct effect on overall readiness and affecting the confidence of our pilots, as well as their ability to perform their missions,” the Ohio Republican said, according to a transcript. Naval Air Systems Command, or NAVAIR, was tasked by Congress to assess the service’s PE efforts in 2016, and the command brought NASA in to help with the assessment. NASA delivered a report to Congress late last year that pillories the Navy’s efforts on several fronts. Turner lauded the report’s insight, but bemoaned that it was full of “things that aren’t happening after things that aren’t happening after things that aren’t happening. Physiological episodes are not a new phenomenon. Pilots have in the past experienced side effects from the unnatural rigors of flying at such height and speed. To date, PE plague the Navy’s F/A 18 Hornets and Super Hornets, EA-18G Growlers and T-45C Goshawks, as well as versions of the Air Force’s T-6 and F-35. While final solutions to prevent dangerous changes in a cockpit’s pressure or oxygen remain a work in progress, mitigation steps taken in the past year have been fruitful, according to officials. Tweaks in the T-45 fleet resulted in a drop in PEs, but the root causes and solution are still being studied, according to the team. “The mitigations put in place to date have greatly reduced the PE rate, improved warnings and cautions for the aircrew and fully restored confidence in the T-45,” the PEAT fact sheet states. Before the establishment of PEAT, efforts were largely “stove-piped,” according to the NASA report, and there was no unifying entity to bring the initiatives together and compare notes. Cragg said it was “unfortunate” that the Navy’s medical community was not part of the search for a PE solution until last year. Much of the medical effort to combat PE was taking place at the flight line level, with no guidance from higher command, the NASA report found. There have been 655 reported PE cases in the past five years, according to Navy figures, mostly involving Hornets and Super Hornets. PEAT officials said the severity of PE runs the gamut, and 75 percent are classified as low to moderately severe. While the service contends that PE rates are falling, officials did not provide a yearly breakdown of that data by Navy Times’ deadline. PEAT has for the first time established Navy protocols that warn aircrews of problems and fix the afflicted machines, Joyner told the House subcommittee this month. The team’s effort has brought not only Navy medicine and other service entities into the fold, but industry and academic experts as well, she said. The impact of such operations on the human body are not fully understood, she said. The Navy’s renewed push to get on top of the PE problem exploded in earnest after T-45 instructor pilots refused to fly the jet last year, citing safety concerns they said were being ignored or downplayed by leadership. Rear Adm. Sara "Clutch" Joyner was named head of the Physiological Episode Action Team in August. Such issues are not limited to those flying the T-45, the NASA report states. A lack of information led aviators to seek other, unofficial insight on the PE problem, the report states. As a result, pilots reported to NASA that they sought PE information from maintainers, fellow pilots and engineers, instead of through official information channels. The Navy’s PEAT now works to ensure that pilots receive updates on the cause of PE events they report up the chain, Joyner said. “The feedback loop has been strengthened, and we’re making sure that we’re getting that back down to the deck plates, to the aviators, site by site,” she told lawmakers. A multidisciplinary team now falls on malfunctioning jets to root out the PE’s cause. “That’s all communicated back to the pilots,” Joyner said. Aircrews were submitting documentation on PE incidents but hearing nothing back, the review found. NAVAIR briefed training wing personnel in early April, a few days after the first pilots opted not to fly. Previous commitments prevented Naval Air Training and Naval Air Forces leadership from visiting the affected T-45 wings during those NAVAIR briefings. Since then, Joyner said the Navy has “turned the curve” on the T-45 issues. An oxygen flow problem was determined as the likely cause of the jet’s PE incidents, and the PE rate stands at roughly a fifth of what it was right before the pilots went on strike, Joyner told Congress. On the Hornet and Growler side, the PEAT is aiming to replace several parts of the breathing and pressurization systems for those jets, according to Joyner’s testimony. The entire F/A-18 fleet will eventually see their oxygen generation, cabin pressure monitor and alert and pressure regulator valves replaced, according to Joyner. Still, that remains years away. PEAT officials said they anticipate that a production contract worth about $85 million for the work will not be awarded until 2020. Unlike the T-45, the Navy does not plan to install an automatic backup oxygen system in the F/A-18s, Joyner told Congress. While those permanent fixes remain years away, Joyner said the Navy has been able to make improvements to the F/A-18 that are resulting in a more stable system. Tsongas noted that new F/A-18s continue to roll off Boeing’s production line. During her days in the cockpit, Joyner said she experienced symptoms that fall on the spectrum of PE effects. “There were days when I came back and didn’t feel great,” she said in an interview. “The culture we were in, we didn’t point at the aircraft. Joyner said she is confident that the work of PEAT, and the infrastructure she guided in to place during her less than 12 months in command of the team, will continue after she moves on this summer. The Navy has not named her replacement and declined to comment as to why she is being moved so soon. Tsongas lamented Joyner’s fast departure and transfer to a Joint Staff gig. “Making the change so soon sends an unfortunate message to the entire Navy aviation community, including their families,” Tsongas said. Hopefully, Joyner’s successor won’t be rotated out so quickly, Tsongas said.